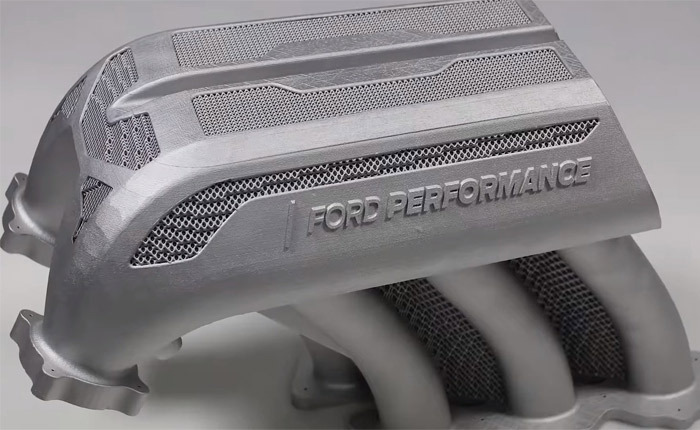 Ford Performance, the high-performance division of Ford Motor Company, 3D printed what they claim to be the largest metal automotive part for a working vehicle in automotive history. 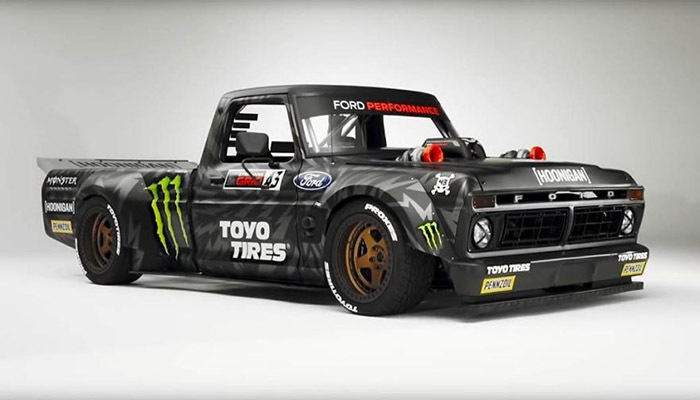 The metal part was installed in the Hoonitruck, a 1977 Ford F-150 with a twin-turbo 3.5-litre V6 EcoBoost engine owned by Ken Block, star of popular YouTube series, Gymkhama. Apart from revealing that the part is 6kg in weight and took five days to print, Ford did not reveal the exact measurements of the part. We know that it is an aluminium manifold inlet, printed by the XXL printer from GE Additive: the Concept Laser X LINE 2000R. If it is in fact the largest metal additively manufactured part, then it must be bigger than Bugatti’s 3D printed brake caliper. Bugatti also claimed their part to be the largest functional titanium component when it was printed; it measured 41 x 21 x 13.6 cm. Ford Performance, based in Michigan, collaborated with a team of research engineers based in Europe to design and conduct structural analysis. Then, the part was manufactured at Ford’s German 3D printing lab with the help of RWTH Aachen’s Digital Additive Production Institut, from Aachen University in Germany. Raphael Koch, engineer in Advanced Materials and Processes at Ford Europe said, “We are fortunate to have access to incredible technology, but this was one project that pushed us – and our computing power – to the absolute limit. The manifold has a complex web‑like structure that couldn’t be made using traditional manufacturing methods. We ended up dissolving the support systems in acid”. The intake manifold is a hard part to manufacture and represents an important part of a car, particularly a racing vehicle. Uneven air distribution and other engine performance problems are common when designing this part. Additionally, the part involves many other small components in order to be put together. Nevertheless, Ford was capable of producing a manifold printed into a webbed structure with the use of aluminium alloy powder thanks to metal additive manufacturing. The vehicle is a 1977 Ford F-150 converted into a custom truck, the Hoonitruck. Ken Block, star of the popular YouTube automotive racing series Gymkhana, built it 2014 after two years of development. Finally, it is the second time Ford gives updates on the subject of trucks. Last March, the company announced that it would be investing $25 million into its Ford Trucks plant in Kentucky with plans to purchase a second 3D printer. You can find more information on Ford’s website HERE. What do you think about this new 3D printed metal part? Let us know in a comment below or on our Facebook and Twitter page! Don’t forget to sign up for our free weekly Newsletter, with all the latest news in 3D printing delivered straight to your inbox!